You are at:Home»Research»What is MakerDAO and Dai the new stablecoin in town? How the quest for a stablecoin might be coming to an end? Cryptoassets always display a volatile, fluctuating price since their true valuation is constantly evolving through market forces. This characteristic, however attractive to investors and speculators, is a hindrance for daily currency usages. The entire crypto ecosystem has long been looking for an asset that replicates the value of fiat currencies, with a stable price of $1. This would greatly simplify accounting processes, ensure payment values without fear of market downturns, and help manage the outflow of smart contracts. The first attempts at creating stablecoins came in the form of collateralisation systems linked to fiat currencies, ie Tether, which simply issues as many tokens as the company owns USD in its bank account. In theory. Although Tether has shown significant success within the ecosystem, with currently more than two billion tokens on the market, the project presents severe risks: even if a full trustworthy audit was realized, an exit scam by the owners of the system or any kind of regulatory issue could jeopardize the convertibility of Tether on any given day. MakerDAO offers an alternative solution that does not rely on existing models or a central authority: a system analogous to a mortgage or a pawn shop loan. In the case of MakerDAO, instead of a watch or a diamond ring, the borrower is going to pawn a cryptoasset, and the loan is denominated in a cryptocurrency with a stable price, the DAI. And instead of a brick-and-mortar business, the entity that keeps the pawned cryptoasset is a smart-contract called Collateralized Debt Position or CDP, which only the borrower has the option to reimburse. So the promise of the MakerDAO system is to allow people to obtain loans without KYC or trusted parties, at a particularly attractive interest rate and repayment terms left to the discretion of the borrower, all with a complete guarantee of security since everything is managed through smart-contracts. The value of the DAI stablecoin, to remain constant, must be guaranteed by the fact that the collateral is always worth at least the amount that has been borrowed. For now, only ETH can be used as collateral, even though the project owners plan to add new cryptoassets. Ether is available for purchase and sale on the Coinhouse.com platform. ETH is volatile by nature, so if the price of Ethereum increases, the escrowed value increases proportionally. On the other hand, if the price of Ethereum decreases, it is possible for the value of the collateral to become lower than the amount of the loan. The borrower would then be tempted to never repay his loan, lowering the value of all collateralized assets until the whole system would crumble. This is why a mandatory security mechanism is implemented when each loan is created: the collateralisation of the loan can never fall below 150%. If the decreasing price of Ethereum causes collateralisation to reach 150%, an automated liquidation process is activated and anyone acquires the possibility to repay the debt in order to balance the situation. These actors do not do it out of kindness but out of greed: whoever liquidates the loan earns 13% of the amount of the debt, taken from the funds of the initial borrower. The borrower must consider the degree of risk he takes by setting the collateralisation of the debt, which he can control via the speed and regularity of his payments. Let’s consider a proverbial hacker with a capital of 100 ETH representing her long-term savings, and a short-term need to buy a computer worth $ 2000, but who lacks that amount in cash. Escrow these 100 ETHs in a CDP, create 2000 DAI, and exchange that amount for euros through a service such as Coinhouse. If the latter option is chosen, she will have to repay the loan at an annual interest rate of 1.5%, calculated to the second. With a very comfortable collateralisation rate of 632%, the ETH price would have to crash down to $28.83 to trigger a liquidation. Our hacker can choose to repay her debt according to her means without endangering her long-term savings by short-term needs. Where the traditional credit world is mainly based on real estate mortgages, MakerDAO presents some risks due to the volatility of ETH, but represents an accessible, transparent credit system without any third party. But who receives the loan interest? Each loan has a 1.5% interest rate which, when repaid, triggers the purchase and destruction of an equivalent amount in MKR, the other token of the MakerDAO system, which has a price that fluctuates based on supply and demand. By destroying a quantity of MKR whenever a loan is repaid, the value of each remaining MKR token tends to increase through reduction of supply. Each MKR token is a sort of financial share of MakerDAO. The more the system is used, the more the value of MKR tokens should increase, because of the increasing scarcity. Built upon a DAO, the MKR token also makes it possible to vote on the evolution of the system, in proportion to the number of tokens each owner has. For instance, a recent vote by the community increased the loan interest rate from 1% to 1.5%. The combination of DAI as a stable token and MKR as a governance token with a speculative value ensures the equilibrium of the system. Holders of MKR benefit directly from the use of DAI and the usage of the DAI is managed by the holders who, should a severe market crisis happen, are able to protect the system. 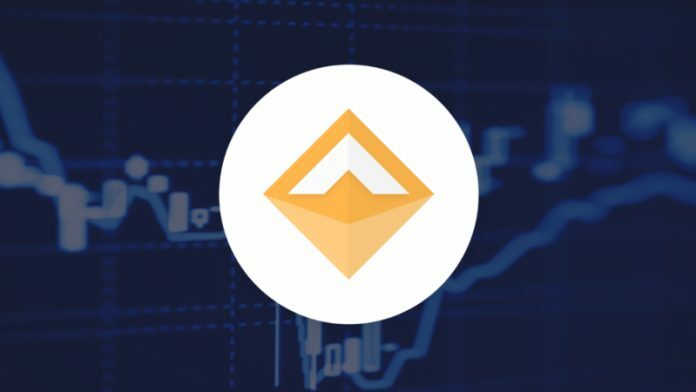 MKR is the last line of defense of the MakerDAO system: in the event of a serious crisis which would send the price of the ETH into a freefall, MKRs are automatically generated to repay the undercollateralized CDPs and destroy the corresponding DAI. Of course, this emergency shutdown would dilute the MKR total valuation, but it would prevent the system from collapsing. The MakerDAO system has several other complex security mechanisms that guarantee collateralisation and prevent this kind of event from happening. 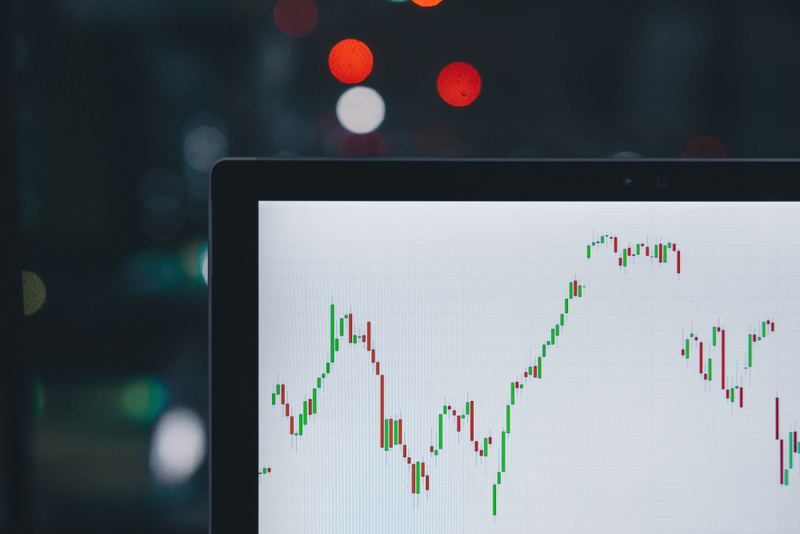 Apart from the traditional liquidation of CDPs that occurs every day, none of these mechanisms have ever had to be deployed, even in the 2018 year-long bear market. 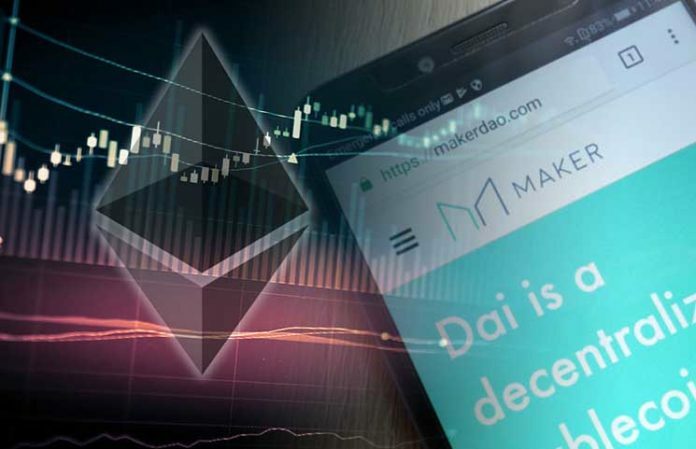 MakerDAO can also be used as a leveraged speculative tool: from a purely financial point of view, generating DAI is the same as betting on the rise of the ETH. A savvy speculator can therefore deposit ETH into a CDP to generate DAI, sell that DAI to get more ETH, deposit the ETH into the same CDP to create more DAI and so on. If the price of the ETH falls, a liquidation will happen, of course. But if the ETH gains in value significantly, the percentage of collateralisation of the CDP will increase mechanically, making it possible to withdraw more DAI from the contract. 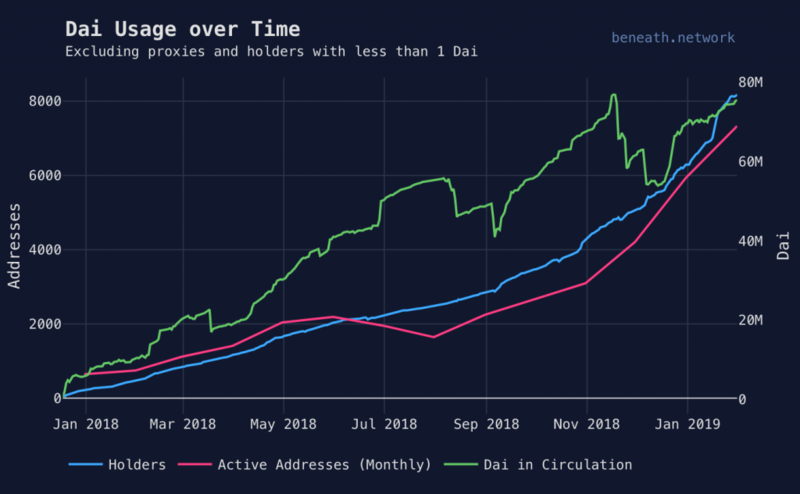 The initial Ether is effectively leveraged. Conversely, a speculator who is betting on a fall of the ETH can sell ETH for DAI, wait for the price of the ETH to decrease and use the DAI to obtain more ETH. In this context, CDPs are useless, simple buy/sell orders are enough. Some actors in the ecosystem such as Aragon use MakerDAO in their project management. As a project strongly linked to the success of Ethereum, but strongly impacted by the falling prices of the ETH in 2018, Aragon has made the choice not to sell its ETH reserves at low prices to finance its operational costs. The project managers have therefore opened a CDP that has very large reserves, and generates the DAI needed for their current expenses. 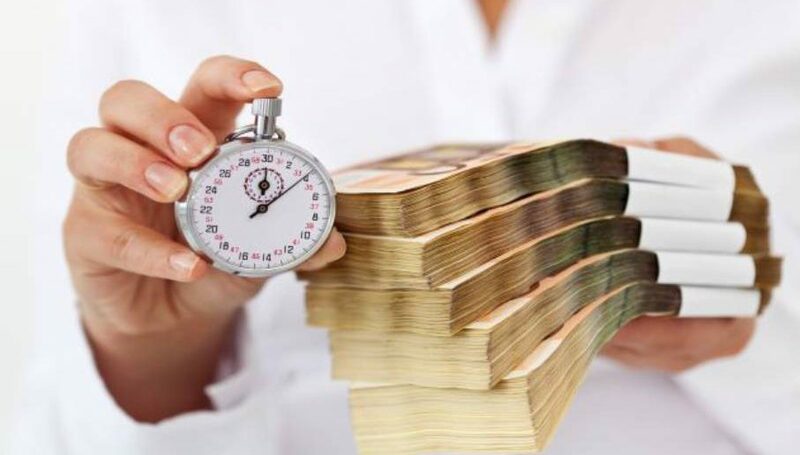 If this choice is not without risk in the event of a sharp fall in the ETH price, it is a way to survive the long months or years of a bear market without spending the project’s long-term reserves. And if a bull market appears in the medium term, Aragon will be able to buy back its debt for a much smaller amount of ETH. All these actors have different needs and objectives and a more or less speculative profile. Their conflicting needs balance the system as a whole, opening DAI to possibilities for being used as an intrinsically non-speculative asset, a reliable unit of account, a decentralized means of exchange, and a store of value. This kind of asset is usually called a currency.